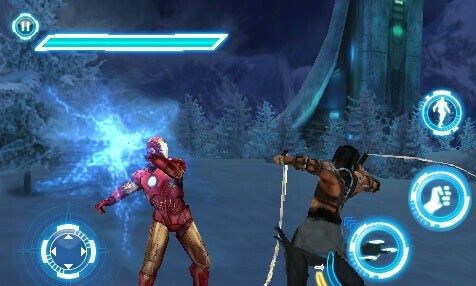 It'd be foolish to say at this point that Iron Man 2 will fall flat this summer when the blockbuster movie is expected to be released, especially after checking out the latest trailers, but Gameloft's game for the iPhone looks to quickly capitalize on the movie. 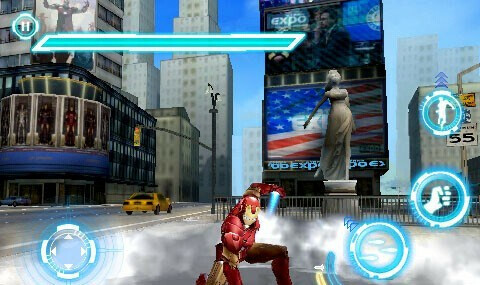 The Iron Man 2 game for the iPhone is looking to touch down some time in early May – either the 2nd or 7th from what's rumored. Based on the screenshots of the game so far, it's looking to be one action packed game that's filled with plenty of graphical eye candy to impress owners. 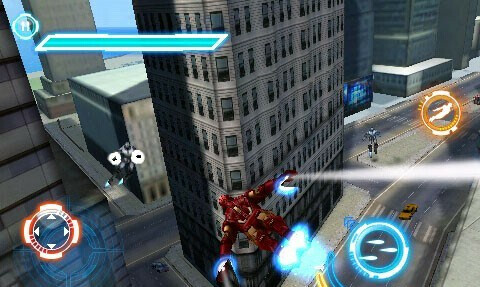 In addition, there will be an upgrade ability element in the game that allows you to take control of various Iron Man suits like the Mark IV, Mark VI, Stealth, and Underwater. The control scheme will be similar to other titles such as Avatar and Hero of Sparta – so gamers can easily jump right in on all the action. That looks freakin awsome! Just a matter of time before it comes to my Pre!